What Does the State Department's Potomac Declaration Say and Do? WASHINGTON — The Trump State Department capped off its first-ever Ministerial to Advance Religious Freedom Thursday by issuing the historic Potomac Declaration proclaiming religious freedom a "God-given right" and launching accompanying initiatives designed to help facilitate that right worldwide. As nearly 80 percent of the global population lives in areas with limitations to religious freedom, the declaration issued Thursday evening reassures that every person in every nation has the freedom of thought, conscience, and religion. As well, every person has the right to hold any faith or lack thereof and has freedom to convert in their faith. The declaration is accompanied by an extensive "Plan of Action" that stresses many things, including the importance of governments preserving the "cultural heritage" of threatened religious minority groups and the need for states to repeal oppressive anti-blasphemy laws and other statutes that victimize religious minorities. The documents were made public at the end of the ministerial, which was attended by delegations from over 80 nations and included six nations that have either been labeled by the State Department as "countries of particular concern" for religious freedom (Uzbekistan) or labeled as Tier 2 countries of concern by the U.S. Commission on International Religious Freedom (Egypt, Iraq, Indonesia, Kazakhstan and Bahrain). 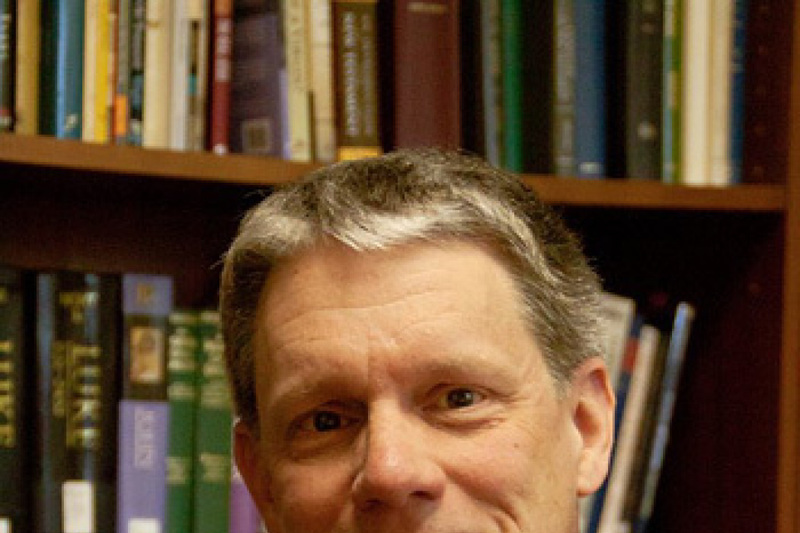 "What struck me the most about the Potomac Declaration and its accompanying Plan of Action were their comprehensiveness," Johnnie Moore, an evangelical adviser to the Trump administration and a religious freedom activist, told The Christian Post. "I'm not aware of any set of documents issued by any state in modern history that so comprehensively and practically address the actual implications of a real commitment to religious liberty as these documents do. They are truly historic." The preamble to the Potomac Declaration points out that the Universal Declaration of Human Rights adopted by the United Nations over 70 years ago already protects the right to thought, conscience and religion in Article 18. However, that right continues to be "under attack all around the world" even in nations that have signed onto the Universal Declaration. "Persecution, repression, and discrimination on the basis of religion, belief, or non-belief are a daily reality for too many. It is time to address these challenges directly," the preamble contends, stating that the protection of religious freedom is the "collective responsibility" of the international community. "Every person everywhere has the right to freedom of thought, conscience, and religion. Every person has the right to hold any faith or belief, or none at all, and enjoys the freedom to change faith. A person's conscience is inviolable. The right to freedom of conscience, as set out in international human rights instruments, lies at the heart of religious freedom. Persons are equal based on their shared humanity. There should be no discrimination on account of a person's religion or belief. Everyone is entitled to equal protection under the law regardless of religious affiliation or lack thereof. Citizenship or the exercise of human rights and fundamental freedoms should not depend on religious identification or heritage. Persons who belong to faith communities and non-believers alike have the right to participate freely in the public discourse of their respective societies. A state's establishment of an official religion or traditional faith should not impair religious freedom or foster discrimination towards adherents of other religions or non-believers. Religion plays an important role in humanity's common history and in societies today. The cultural heritage sites and objects important for past, present, and future religious practices should be preserved and treated with respect." Prior to the ministerial, Secretary of State Mike Pompeo declared that the event would be more than just talk. The declaration's Plan of Action will serve as a guideline for nations to draw upon when responding to violations of religious freedom and religious persecution. The plan has several bullet points categorized in five sections — defending the right to religious freedom, confronting legal limitations, responding to genocide and mass atrocities, preserving the cultural heritage of religious minorities, and responding to threats to religious freedom. Among other things, the first section calls on nations to strongly condemn acts of religious discrimination and persecution and to "respect the rights of parents to provide their children religious and moral education in conformity with their own conscience and convictions." The section also calls on nations to "ensure false accusations of 'extremism' are not used as a pretext to suppress the freedom of individuals to express their religious beliefs and to practice their faith, or otherwise limit freedoms of peaceful assembly and association." Nations are also urged to eliminate restrictions that limit the ability of believers and non-believers to assemble to worship, pray, teach and practice their faith. In the section on legal limitations, nations are advised to allow religious communities to establish places of worship in public or private without any undue burdens. Countries that have state-managed registration systems that track religion are urged to make those religious indicators optional. The plan also calls on nations to repeal anti-blasphemy laws that are often used by majority groups to oppress religious minorities, as has happened in nations like Indonesia, which had a delegate speak during the ministerial plenary session. In responding to genocide and other mass atrocities, the Plan of Action calls on countries to use appropriate means to protect vulnerable populations from genocide, war crimes, ethnic cleansing and crimes against humanity. As the world recently witnessed the destruction of ancient religious and historical sites at the hands of the Islamic State in Iraq and Syria, the plan of action calls for nations to assist impacted communities and help other nations safeguard and restore their cultural heritage sites. In responding to threats of religious freedom around the world, nations are urged to declare Aug. 3 a nationally recognized day of remembrance of survivors of religious persecution. The day marks the anniversary of the first day the Islamic State began its reign of terror against minorities in Iraq in 2014. Nations are also urged to give financial support to persecuted persons, create ambassadorial positions that focus on religious freedom, train diplomats in how to advance religious freedoms in their interactions with foreign governments, and help create domestic forums where religious and civil society groups can discuss concerns over religious freedom. How Does This Declaration Differ From Others? The Potomac Declaration comes as there have been similar declarations issued over the last several years by gatherings of interfaith and national leaders, including the Bahrain Declaration, the Marrakesh Declaration and the Washington Declaration signed earlier this year. Moore told CP that the Potomac Declaration and its Plan of Action "go significantly farther than any similar efforts by either nation states or civil society." He added that those documents are the equivalent to "this ministerial's Magna Carta." "The documents clearly say, for instance, that people ought to be able to change their beliefs and that religious communities ought to be able to do things like print, import and distribute literature," Moore said. "It says that religious speech ought not to be suppressed under the guise of national security, and that states have no right to pick and to choose which religions will be tolerated in their countries." 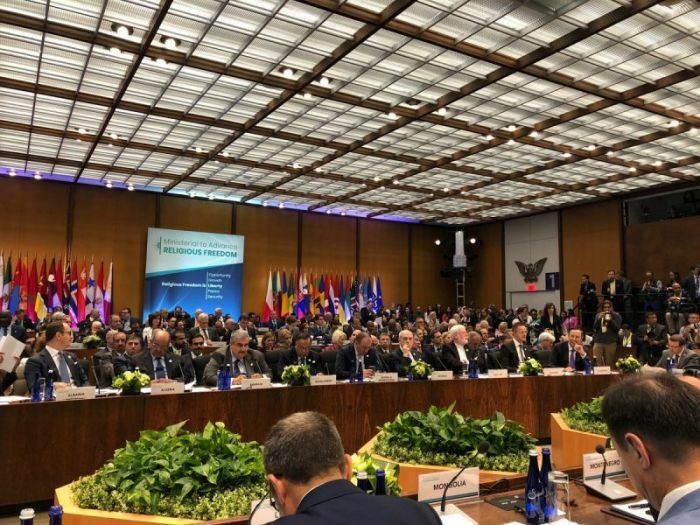 There is no indication yet on what countries are officially supporting the U.S.-backed declaration and its plan of action, though delegates from many nations spoke out in support of the effort during plenary sessions Thursday. Kazakhstan, a Tier 2 country of concern as classified by USCIRF, expressed its solidarity with the Potomac Declaration and the Potomac Plan of Action. 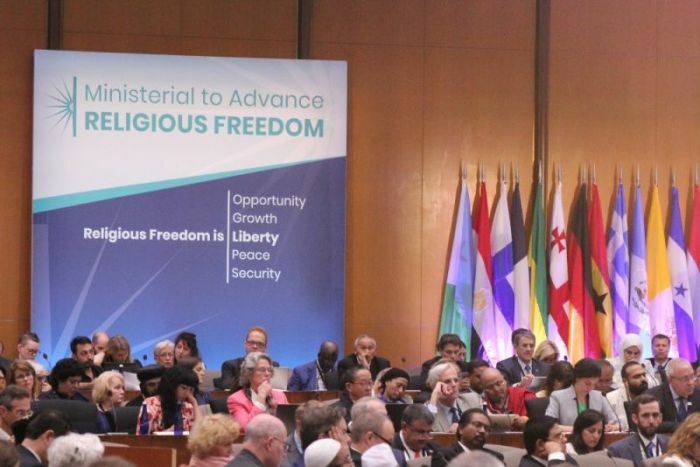 "We are confident that implementation of these documents will be strongly supported by [the] international community in promoting religious freedom worldwide," a delegate from Kazakshstan said during a plenary session. As previously mentioned, the king of Bahrain, a fellow Tier 2 country of concern, signed a similar declaration on religious tolerance last year. A delegate for Bahrain announced at the ministerial the creation of an ambassador at-large position for peaceful coexistence and religious freedom within the ministry of foreign affairs and a corresponding office. A delegate from Uzbekistan, designated a "country of particular concern" by the State Department, announced initiatives the government has undertaken that he says will ensure religious freedom, protect the believers from discrimination and "allow for a peaceful co-existence for all representatives of Uzbekistan's multinational society." 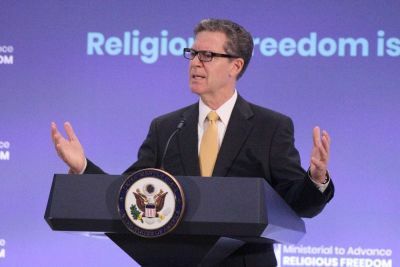 Sam Brownback, the U.S. ambassador at-large for International Religious Freedom who chaired the discussion at the ministerial, told reporters that he thinks the event was a "spectacular success." "[We're] delighted we're getting a number of other countries signing on board to help us and to move forward with this cause, and we're very excited about how it moves forward," Brownback said. "I really think we're at a moment where the Iron Curtain prohibiting religious freedom is coming down, and that you're going to see a burst of freedom — of religious freedom around the world taking place. I really believe we're at that moment in time and it'll be a great thing." 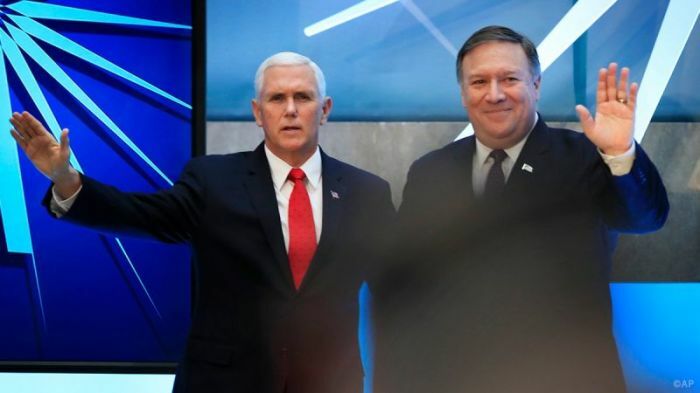 Pompeo and Vice President Mike Pence announced Thursday morning the creation of separate U.S. government initiatives designed to help promote religious freedom and help those who have been persecuted around the world. Pence announced the creation of the Genocide Recovery and Persecution Response Program, which will foster a partnership between the federal government, philanthropists and community leaders to help deliver the aid persecuted communities need at a quicker pace. The plan comes as there has been much scrutiny in the slow pace it took for the U.S. government to provide aid to victims of genocide in Iraq. Pence also announced the launch of the International Religious Freedom Fund to help persecuted religious minority communities. The U.S. is encouraging other nations to help support the fund. Pompeo announced that the U.S. is providing an additional $17 million to support demining efforts in the Islamic State-ravaged region of Nineveh, Iraq in addition to the $90 million the U.S. has already given to this effort.